There is something about knowing you have two more days off all together, that makes a lazy Sunday morning even better. Incredibly, small boy slept until 8am (the latest he has slept in his whole 11 months) and big boy woke up at 8.45am. So breakfast became brunch and after a quick trip to Tesco Express, my husband came home with a variety of naughty but delicious goodies! 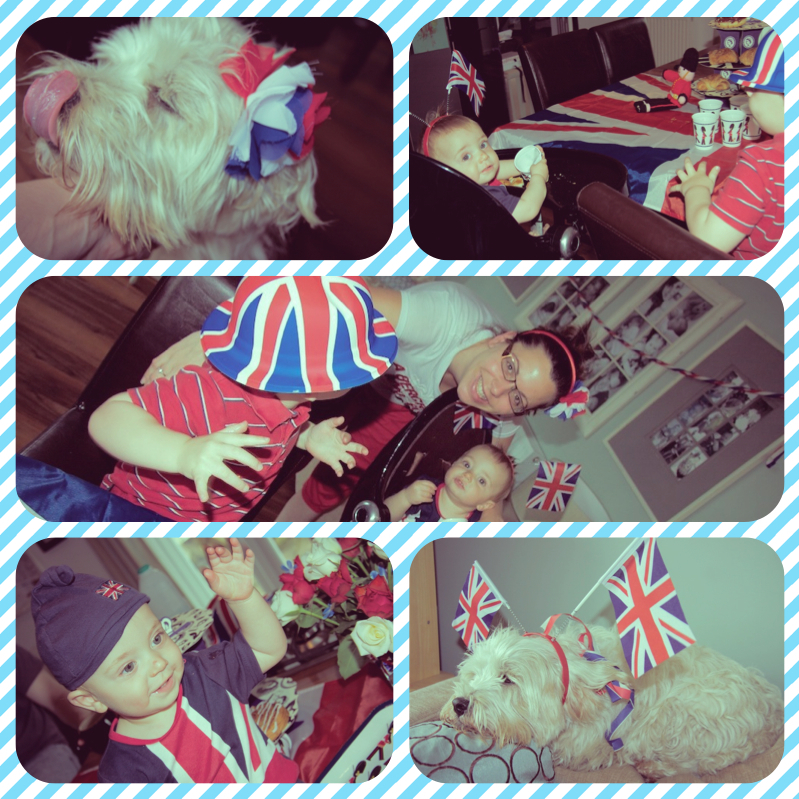 I managed to get the boys dressed in their Jubilee red, white and blue but please excuse my lack of make up and glasses! It was technically first thing, even though it was 10am! 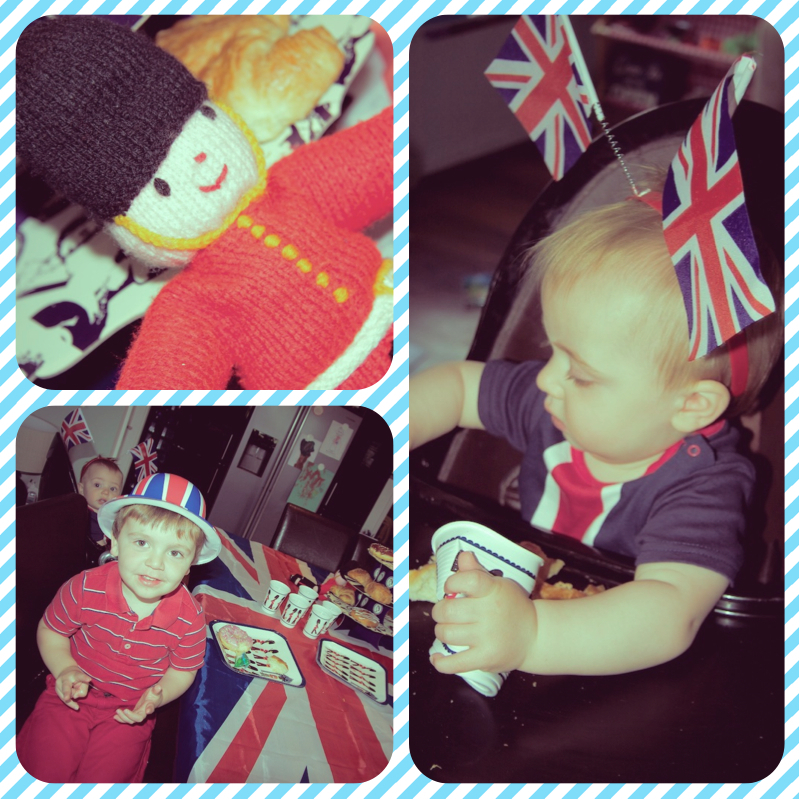 Jubilee decorations before the rain came!